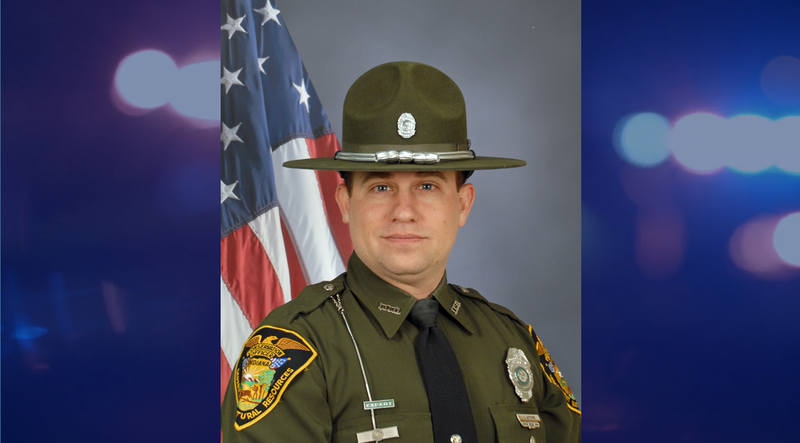 AREA WIDE -- Indiana Conservation Officer Jon Watkins, who serves Dubois County, has been selected the 2018 District 7 Officer of the Year. Watkins, who is originally from Laporte County, was assigned to his current county in 2006. He is active in the Dubois County Hunter Education and 4-H Shooting Sports programs and serves as a National Archery in the School Program (NASP) coach at Northeast Dubois High School. Besides being a perennial leader in enforcement actions and public appearances, Watkins also serves as a National Association of State Boating Law Administrators (NASBLA) instructor, background investigator, boat accident investigator and sonar operator. This is the third time Watkins has been selected for the District 7 award, which is chosen annually by his peers. He also won in 2010 and 2012. His other past awards include three district Boating Officer of the Year selections and the State of Indiana Boating Officer of the Year award in 2015. The 10 counties in District 7 are Dubois, Spencer, Pike, Daviess, Gibson, Knox, Martin, Posey, Vanderburgh, and Warrick. The district award puts Watkins in the running for the Pitzer Award, which is given to the top overall Conservation Officer in the state of Indiana and selected from the 10 district award winners.